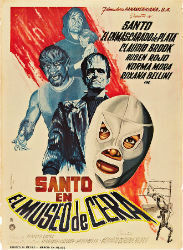 Santo is asked to investigate a series of kidnappings around a mysterious wax museum. The proprietor, Dr. Karol (Claudio Brook), is the main suspect, but even he is attacked. Santo begins to suspect that the monstrous displays in the museum might be more than they appear. This is the eighth Santo movie in six years (there tended to be between 3-5 released a year), and it feels like the series has hit its stride. Right away, the film sets up its story with efficiency, but without sacrificing mood. Through gloom and sharp camera angles we are introduced to the titular wax museum and it’s unsettling owner, Dr.Karol. Santo himself does not make an appearance until twelve minutes in, during a brief scene that establishes him as a full-time wrestler and part-time crime fighter. Even then, he doesn’t become a part of the story until a full thirty minutes into the film. Even though it is pretty easy to tell who the villain is, the film does what it can to cast some doubt. It’s a shame that everything ends up being exactly as it appears to be, but the villains are so arch they make up for any disappointment by being very entertaining. There are some gleefully gruesome deaths and Santo himself takes a surprising amount of punishment in the movie's many fights. He even manages to get stabbed, which is a far cry from the nearly untouchable hero he becomes in the later films. Once again, the story is interrupted several times by wrestling bouts. 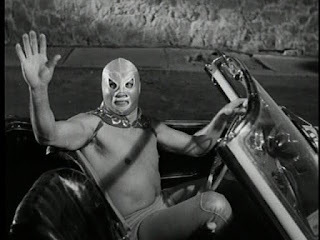 Santo even leaves in the middle of an investigation, telling everyone he has to go wrestle. To be fair, most of the matches are shot well enough (including a match with a French wrestler whose signature move seems to be hopping on one leg) to not be a total drag, but they do slow down the momentum of the story. These early Santo films set him up as an almost James Bond style hero, complete with cool car and super science gadgets. Later films would drop this conceit, and just have him be a wrestler who goes on adventures. I enjoy this extra layer of genre thrown into what is already a horror-action hybrid. 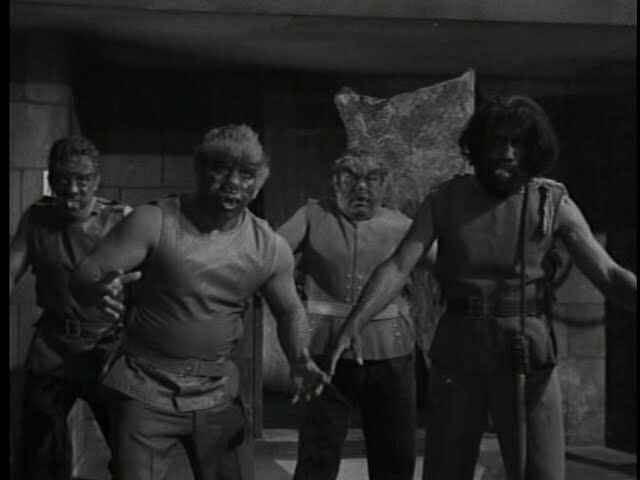 Part of the appeal of luchador films is the odd mash-up of wrestlers/superheroes battling gangsters, monsters, and aliens. All done without a hint of self-reflexiveness. Santo in the Wax Museum is a good, perhaps even great, Santo film. It never plays too campy, it just rolls along like a straightforward horror film that just happens to star a guy in a silver mask who never wears a shirt. Santo himself is a solid hero, but a fallible one, and that makes it much easier to bring some drama to the endless fights that litter the third act. Santo mixes best with horror, and Santo in the Wax Museum is an excellent example.